Too Close to Home in Skibbereen! 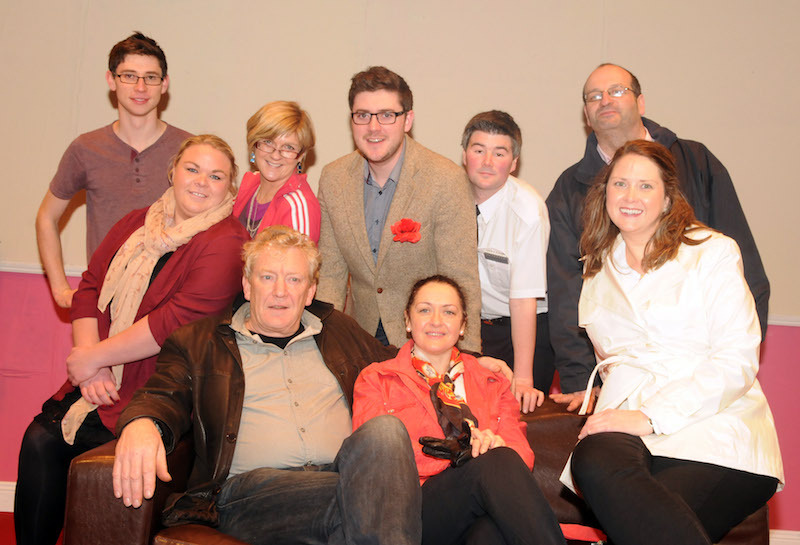 CHRISTMAS cheer comes to Skibbereen Town Hall with the local theatre society’s latest comedy production, Too Close to Home, which features a good mixture of seasoned performers and newcomers to the stage. The play was written by Mullingar playwright Jimmy Keary – one of whose comedies, The Two Loves of Gabriel Foley, was performed by Skibbereen Theatre Society two years ago to popular acclaim. The current production, Too Close to Home, directed by Dawn Manning, is another hilarious rural comedy, which gives a window into the world of James Ryan, an aspiring playwright, who is trying to write a three-act play. With inspiration at a low ebb, James decides to write about something he knows. He discovers that his wife’s parents are going through a rough patch in their marriage and decides that this would make a good plot for his play. Since they all despise his playwriting, he presumes they will never see it. Naturally, all does not run smoothly and there are many twists and turns! Tickets are available from Thornhill Bros Electrical, Skibbereen, tel 028-22557, or at the Town Hall on the nights of the shows.